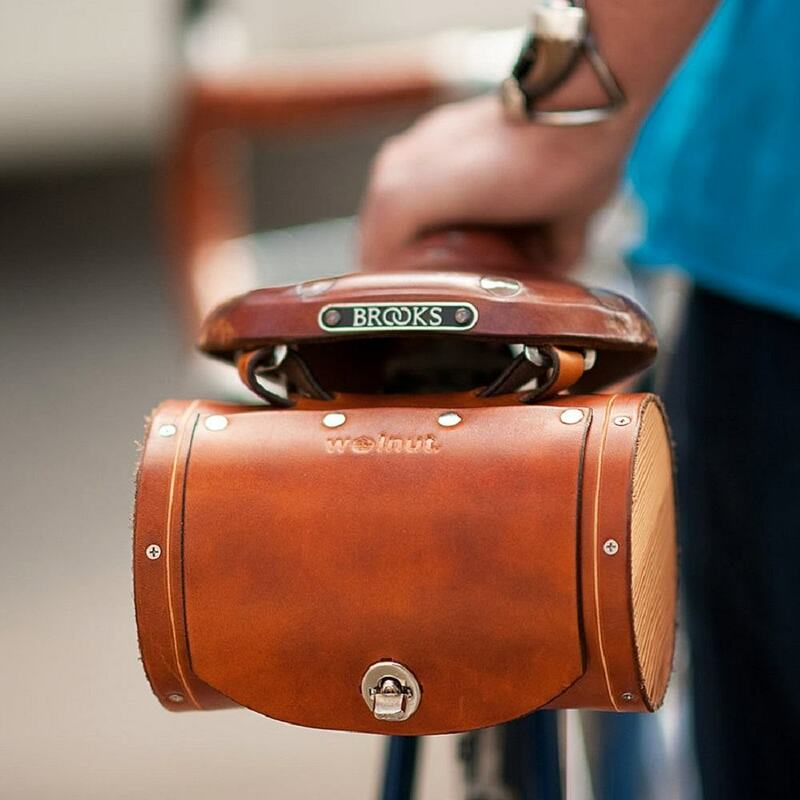 A stylish leather seat bag for your bike, designed with classy antique steamer trunks and St. Bernard barrels in mind. 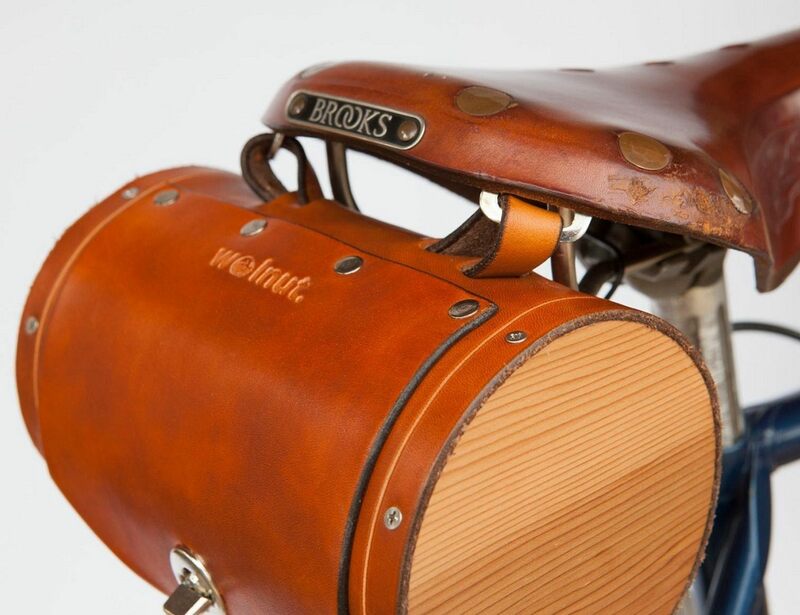 Also called “The Seat Trunk”. 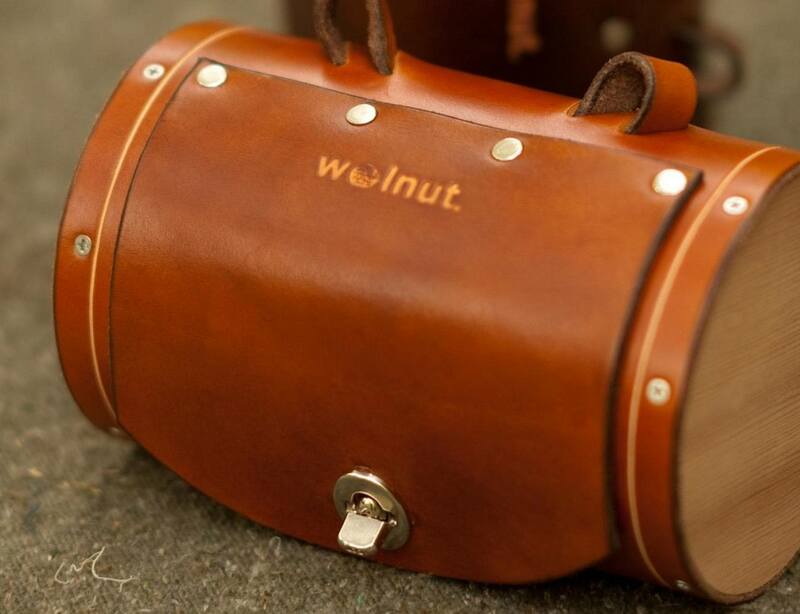 The seat trunk dimensions are 7″ wide by 4 1/2″ diameter. 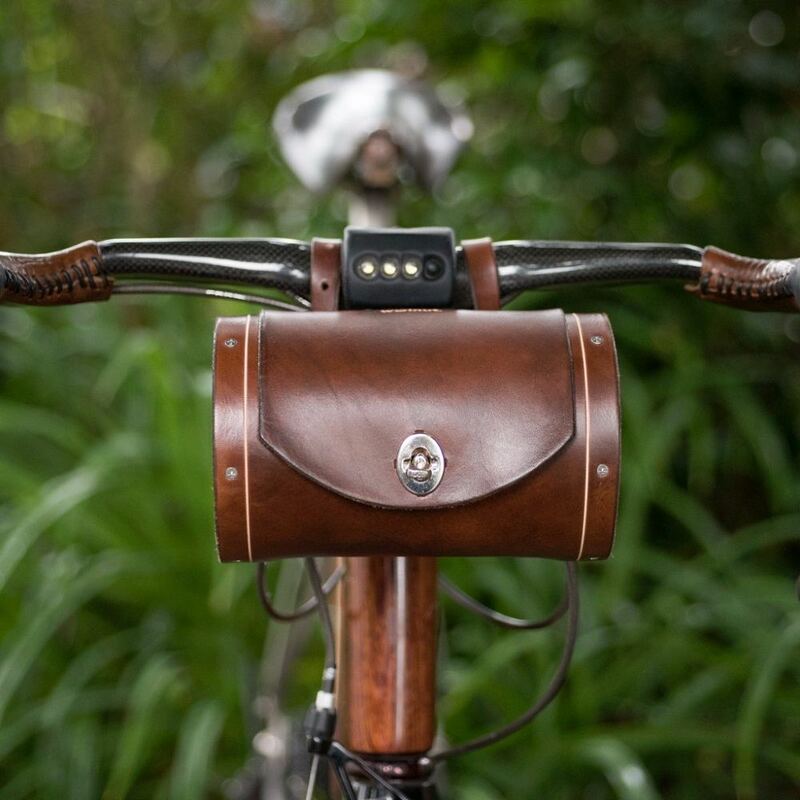 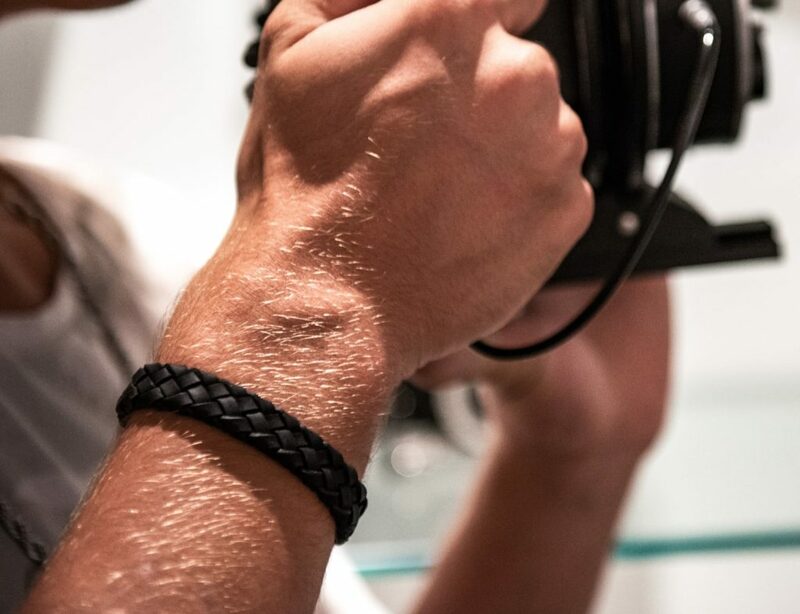 Hand-finished, hand-stitched thick and stiff leather attaches to your bike with leather straps that thread through the seat rail or through Brooks saddle eyelets.